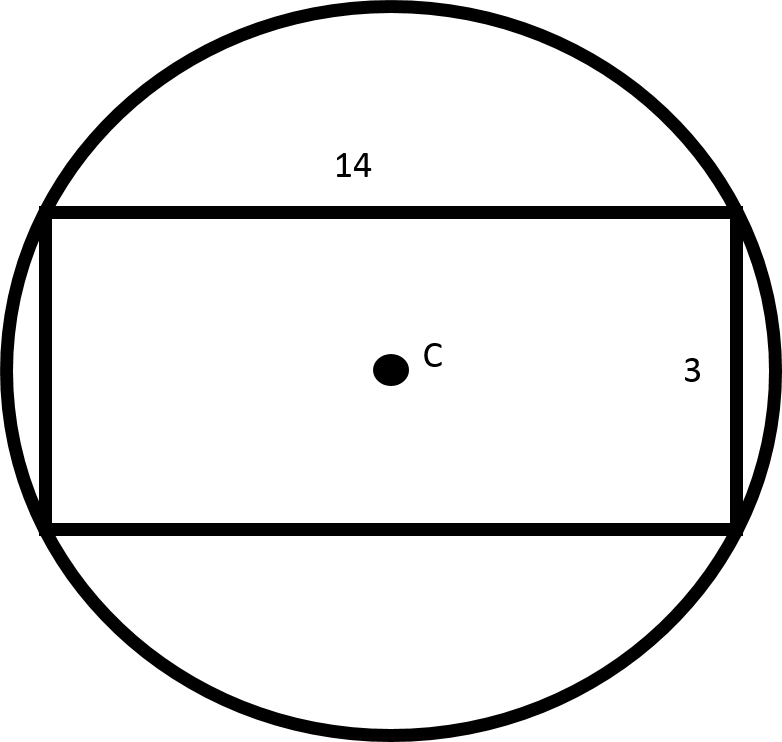 The rectangle and the circle share a center, . Find the circumference of the circle. The circumference of the circle cannot be determined. The rectangle and the circle share the the same center, . Find the circumference of the circle. 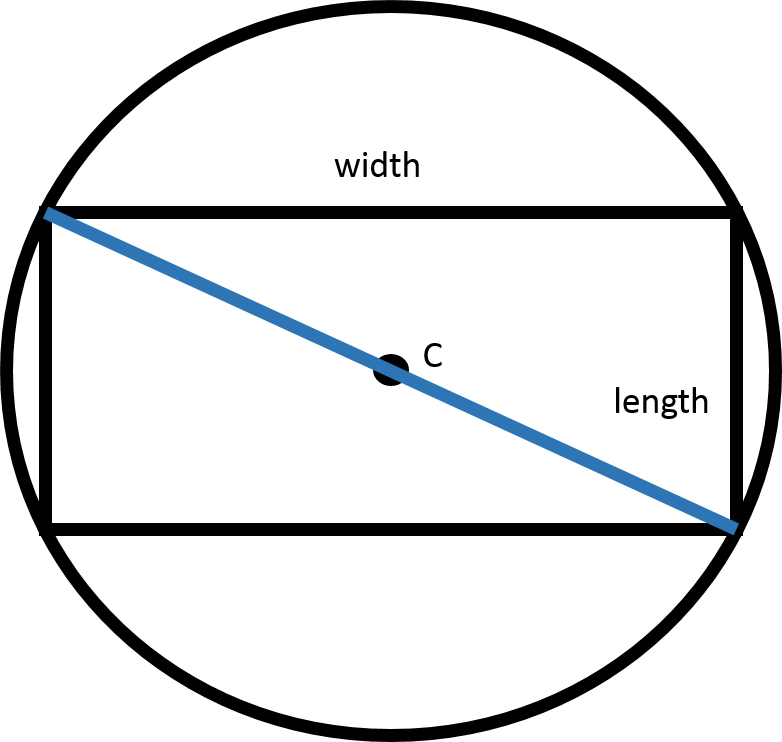 The circle and the rectangle share a center, . Find the circumference of the circle.